n Nov. 25, when I heard the news of Cuban leader Fidel Castro’s death, I did not feel any sense of sadness, relief or joy. Instead, as a daughter of Cuban exiles, I experienced a mix of all those emotions. 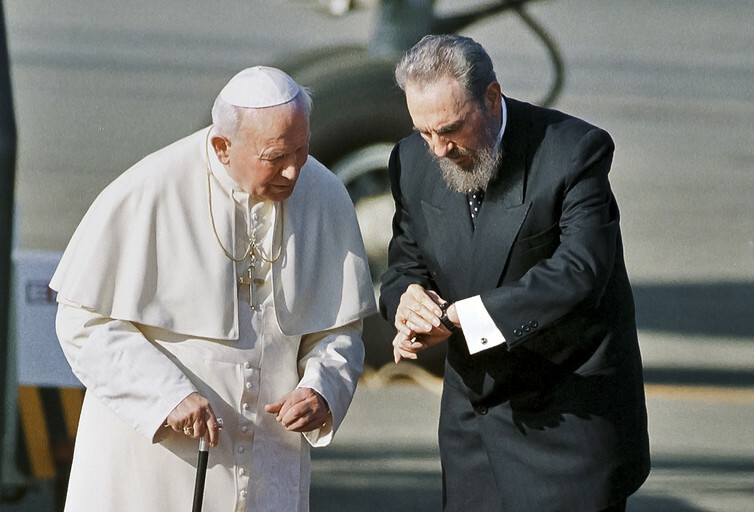 Fidel Castro, right, and Pope John Paul II are seen during a welcoming ceremony in Havana, Cuba in this file photo from Jan. 21, 1998. 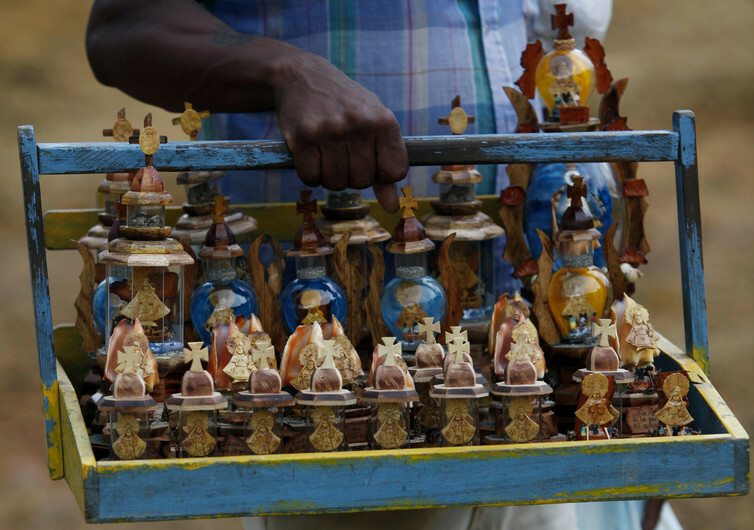 A vendor sells small statues of Cuba’s patron saint, Our Lady of Charity, during a Santeria ceremony at the annual Caribbean Festival in Loma del Cimarron, El Cobre, Cuba.